Join us for the Third Annual Stakeholder's Breakfast & Meeting! Please join us on February 20, 2019 at Crisis Services for the Suicide Prevention Coalition's Third Annual Stakeholder's Breakfast! This year we are honored to welcome our Keynote Speaker: Michael Kearns, Erie County Clerk and Suicide Loss Survivor. Last year 45,000 Americans died by suicide, a number that continues to rise. At this annual meeting, we will have our first report from the Medical Examiner's Office on the 2018 local data for Erie County. We remain hopeful that our efforts are leading to some gains in this crisis. You will learn about the numerous efforts the Coalition has taken on this past year. We have exciting plans for 2019, as well, based on what the data in this field are beginning to teach us. This year we will be honoring the second recipient of the Suicide Prevention Exemplary Service Award in honor of founding Coalition member Christopher Hartnett. Christopher served on the Executive Board since the inception of the Coalition in 2012. He died in a motor vehicle accident in 2015. This award honors the unique commitment, passion, and dedication that Chris displayed for serving the community around him. 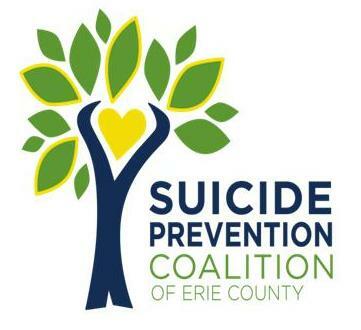 The Suicide Prevention Coalition is a group of concerned organizations consisting of The Department of Health, The Department of Mental Health, Social Service Agencies, Schools and Universities that work together to prevent suicide and suicide attempts by increasing awareness, promoting hope and resiliency, and facilitating access to resources. If your agency has an interest in suicide prevention please consider joining us this year and learning how your agency could become involved!